An important goal of the Centre for Research in Economics and Business (CREB) is to promote public debate on policy issues through conferences, seminars, and publications. Each year, CREB organizes the Lahore School’s Annual Conference on the Management of the Pakistan Economy. 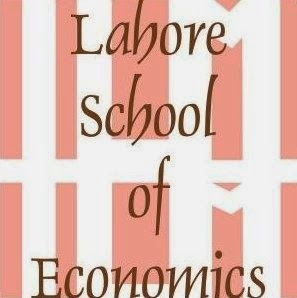 The proceedings of the conference are published in a special issue of the Lahore Journal of Economics. The theme of 7th Annual Conference to be held at the Burki campus of the Lahore School from 4 to 6 May 2011 is “financial sector development and management.” The objective of the upcoming conference is to promote discussion on financial sector development and the monetary management issues facing Pakistan and other economies in Asia. Pakistan and other countries in the region have implemented far-reaching financial sector reforms over the last decade or more and it is time to take stock. Has the efficiency of financial inter-mediation increased as a result of these reforms? Has it led to higher savings and investment? Are the banking systems more secure and robust? And, are the central banks better able to control inflation? These are some of the issues that will be addressed through a mix of paper and panel discussions at the conference. Contributions from eminent academics within Pakistan and abroad have been invited.